Is The Eurppean Shorthair Cat Good For You? European Shorthairs have a temperament that depends on their breeding situation, and that greatly varies. This breed tends to enjoy people but females especially are known to attach to families. A European Shorthair is generally territorial with other cats but loving towards their owners. The European Shorthair was developed in Sweden with the intention of creating a healthier shorthair cat with a round face. 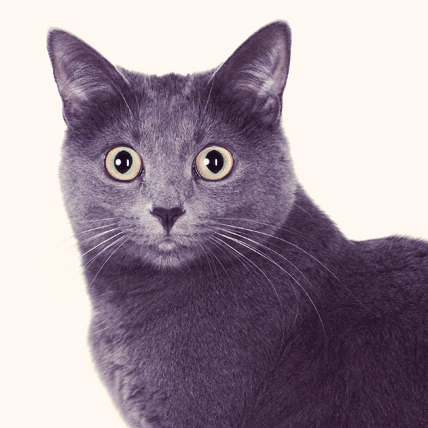 A mix of the British Shorthair, the American Shorthair, and the Persian (added in later for their round head), the European Shorthair was officially registered as their own breed in 1982. Primarily found in Scandinavian countries, the European Shorthair is a direct descendant of the original European house cat. The European Shorthair has a muscular build with a well-defined bone structure. Their round chest and strong legs form a rectangular frame. Their head is large when compared to the rest of their body, bearing a straight nose and tufted ears. Their rounded tail tapers down to the tip, and is average in length. They have a thick, shiny coat that is water resistant, coming in a wide variety of colors. European Shorthairs are typically a friendly, smart, curious bunch that enjoy the company of people they know. They can be shy around strangers, but around their owners, they are nothing if not affectionate, often sleeping in the same bed as them and following them around endlessly. They get along great with other pets and are typically a gentle breed that has a soft voice. The European Shorthair comes in essentially any color and pattern under the sun. It is relatively healthy with no history of hereditary diseases.